The British singer picked up nods from the Recording Academy for best new artist and best dance recording for Electricity. The Best New Artist category for the 61st #GRAMMYs is stacked with talented creators who have built names for themselves on their own terms. 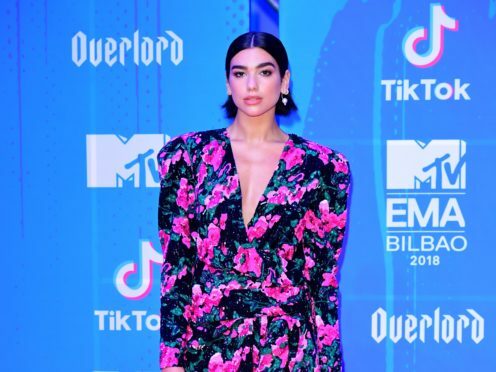 In the best new artist category, she will compete with fellow UK singer Jorja Smith, as well as Chloe x Halle, Luke Combs, Greta Van Fleet, H.E.R, Margo Price and Bebe Rexha. British singer Ella Mai also landed two nominations, for song of the year and best R&B song for Boo’d Up. In the song of the year category, she will compete against Kendrick Lamar and SZA for All The Stars, God’s Plan by Drake, In My Blood by Shawn Mendes, The Joke by Brandi Carlile, The Middle by Zedd, Maren Morris and Grey, Shallow by Lady Gaga and Bradley Cooper from the film A Star Is Born and This Is America by Childish Gambino. Drake and Lamar lead the nominations for the music awards, with seven each, including the coveted album of the year.  Congratulations 61st #GRAMMYs Album Of The Year nominees: @iamcardib, @brandicarlile, @Drake, @HERMusicx, @PostMalone, @JanelleMonae, @KaceyMusgraves, and (@kendricklamar + Various Artists)! Lamar is nominated for his work on the Black Panther soundtrack, while Drake is nominated for Scorpion, alongside Cardi B’s Invasion Of Privacy, By The Way, I Forgive You by Brandi Carlile, H.E.R. by H.E.R. Beerbongs & Bentleys by Post Malone, Dirty Computer by Janelle Monae and Golden Hour by Kacey Musgraves. The Grammys will be handed out at the Staples Centre in Los Angeles on February 10 2019.